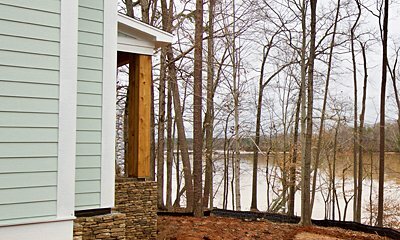 The public is invited to McLean on March 3 for an informal tour of the latest custom waterfront home nearing completion on Lake Wylie. The event will showcase an Arthur Rutenberg waterfront home at 305 Cape August Place in McLean’s South Shore neighborhood. 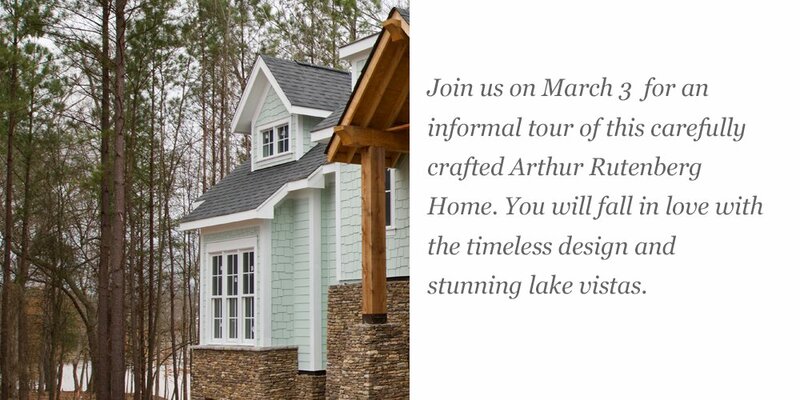 From 11 am to 3 pm, visitors can meet Arthur Rutenberg representatives, tour the home and learn about the planned community of McLean, with 5 miles of Lake Wylie waterfront in southern Belmont, NC. The home overlooks Lake Wylie. The Arthur Rutenberg-designed two-story home – already sold – features an Americana-themed exterior with highlights of cedar and dry-stack stone. With 3,273 SF of heated space, the home offers 3 bedrooms, 3 1/2 baths and an extensive patio overlooking the waterfront and private dock. The builder, Paragon Homes of Charlotte, Inc., is an independently owned and operated franchise of Arthur Rutenberg Homes. Directions: McLean’s South Shore neighborhood is on Armstrong Road near South New Hope Road, Belmont. Look for signs to the event at South Shore’s two neighborhood entrances. For GPS directions, use 305 Cape August Place, Belmont, NC 28012, or CLICK HERE. The March 3 home tour is the first of several home previews to be offered this year by the team of estate and custom-home builders in McLean’s South Shore neighborhood. South Shore offers luxury custom homes and spacious estate homes overlooking Lake Wylie, scenic ponds or community woods and fields. Home sites range from a half-acre to more than acre in size. An impressive clubhouse and pool recently opened on a hillside near Lake Wylie. South Shore’s custom-home builders include Andrew Roby Signature Homes, Arthur Rutenberg Homes, Fairwood Construction, J. Barwick Construction and McSpadden Custom Homes. Estate-home builders include John Wieland Homes and Peachtree Residential. The master-planned community of McLean is taking shape along 5 miles of Lake Wylie shoreline in southern Belmont, NC. When completed, McLean will total more than 850 homes in three distinctly different neighborhoods: South Shore, The Conservancy and Overlake. Home sales in 2017 were brisk, with more than 100 homes sold in The Conservancy and South Shore neighborhoods. The Conservancy’s community clubhouse and pool will open to residents in late March. Builders Essex Homes and M/I Homes are preparing fresh designs for neighborhood’s second phase, which is under development. Shea Homes and Evans Coghill Homes have model homes under construction In McLean’s newest neighborhood, Overlake, located across New Hope Road from the Daniel Stowe Botanical Garden. The community’s first restaurant, Seven Oaks Café, will open this spring in the historic McLean House at 175 Armstrong Road.